Before the fall semester madness set in for schools and colleges, my family and I conspired to take a quick trip over the weekend not far from our homes. 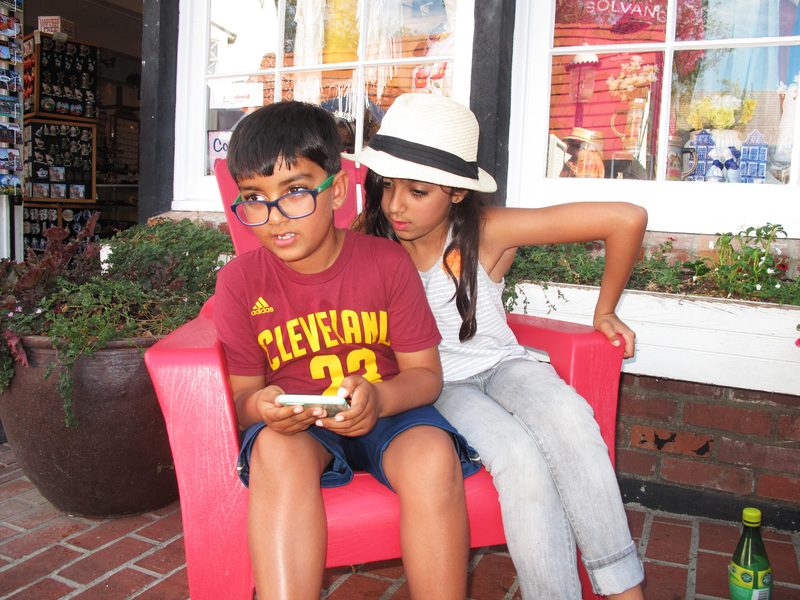 The place we decided to visit was Solvang, California, a small farming community, east of Santa Barbara off 101 highway with lots of vineyards, animals and natural beauty. 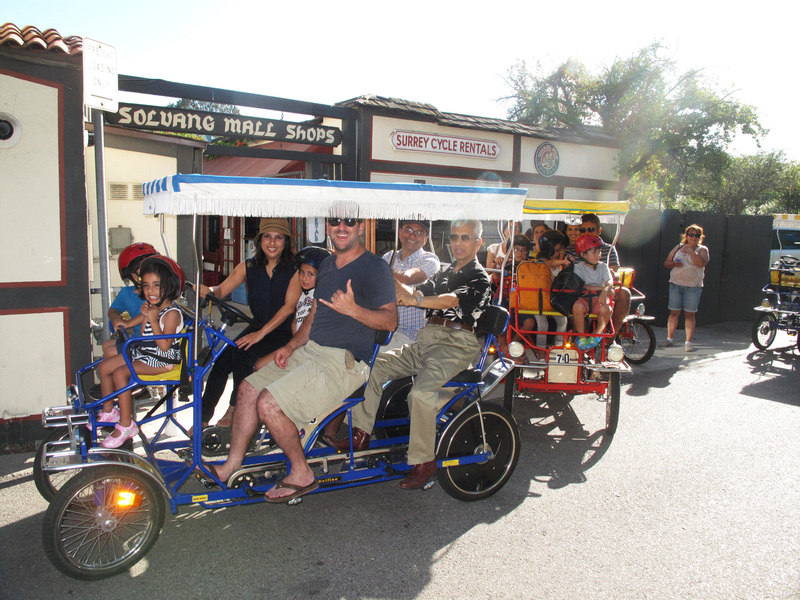 Solvang is a community founded in 1911 by a group of Danes who traveled west to avoid the harsh Midwestern winter. 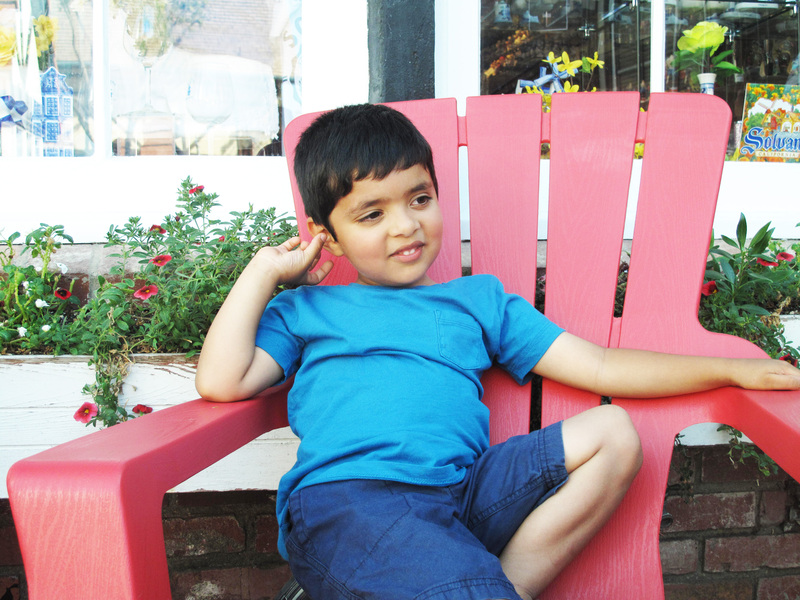 Originally it was a Danish colony and Solvang in Danish means “Sunny Field.” Solvang lived up to its name because the weekend we visited the heat registered on the thermometer a blistering 99 degree Fahrenheit. 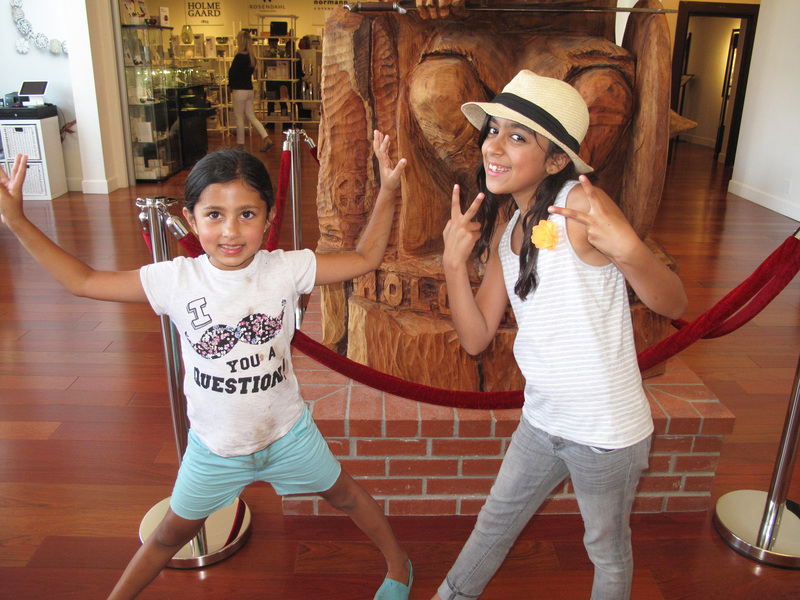 The place was interesting because it offered a taste of Denmark in California not far from Los Angeles. However, a mere 140 miles from Los Angeles which should not take more than two hours, took us 4.5 hours to get there. The traffic was just woeful. It was perhaps we chose to drive on a Friday afternoon. 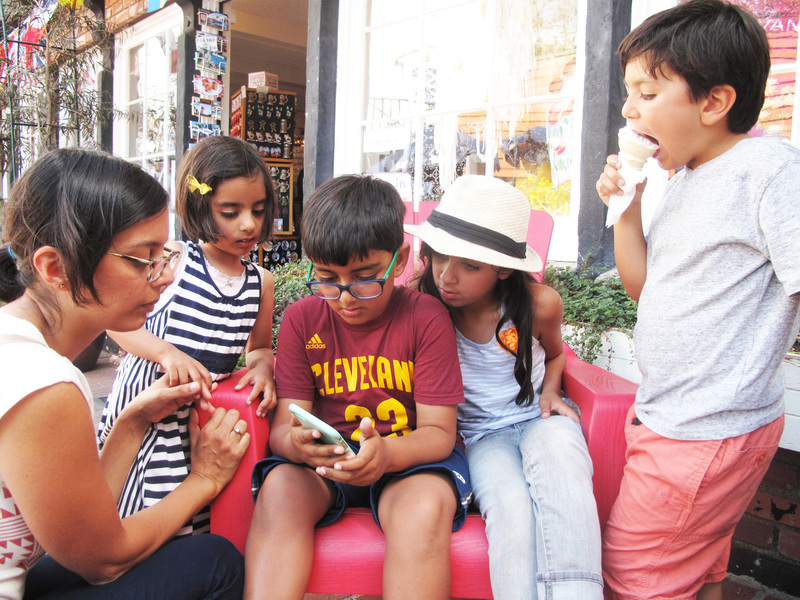 There were four families consisting of eight adults and six children, an interesting and challenging mix. But they were all fun, without them the trip would have been dull. All fourteen of us stayed in the same hotel and did everything together. The kids were the most fun part. 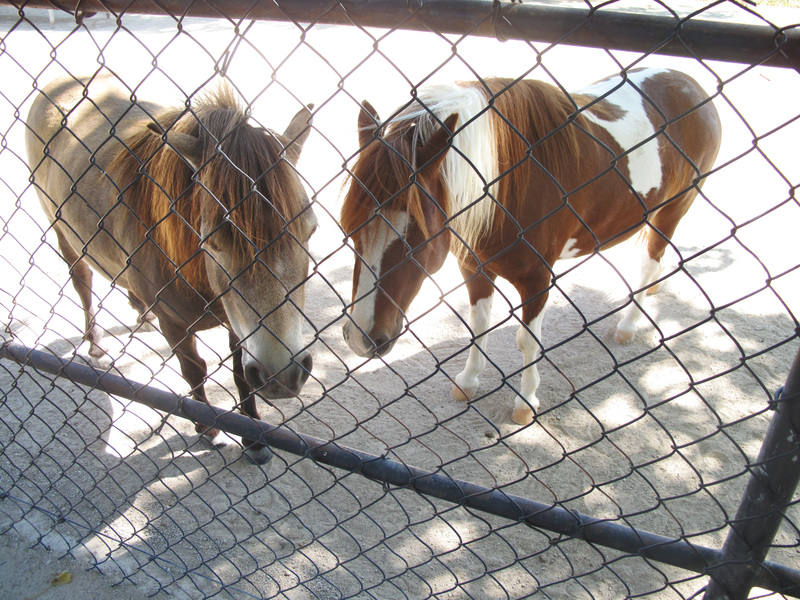 We visited a pony farm with lots of ponies. 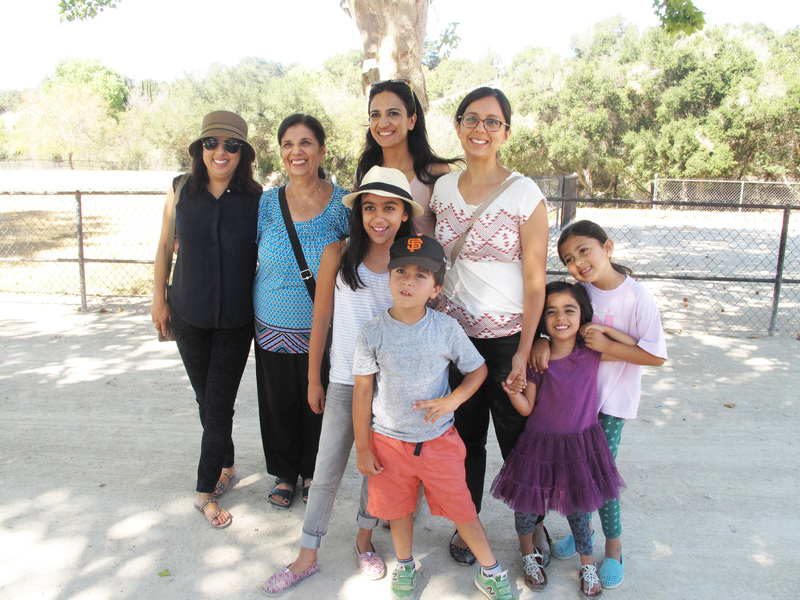 They had expected to ride a pony, but it turned to be a farm where they sold ponies. All we got was to see and pet them. 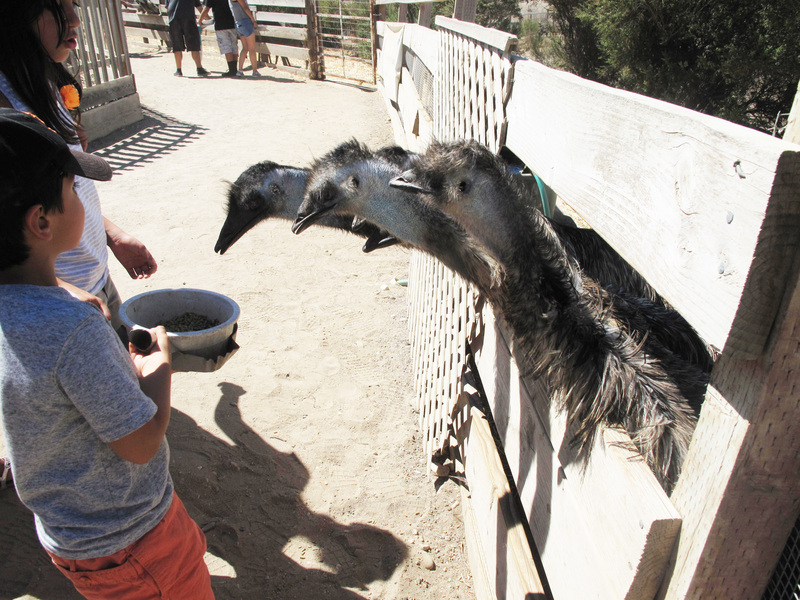 Another most interesting visit was the ostrich and emu farm where visitors were allowed to feed them. The hungry birds were waiting for to be fed. 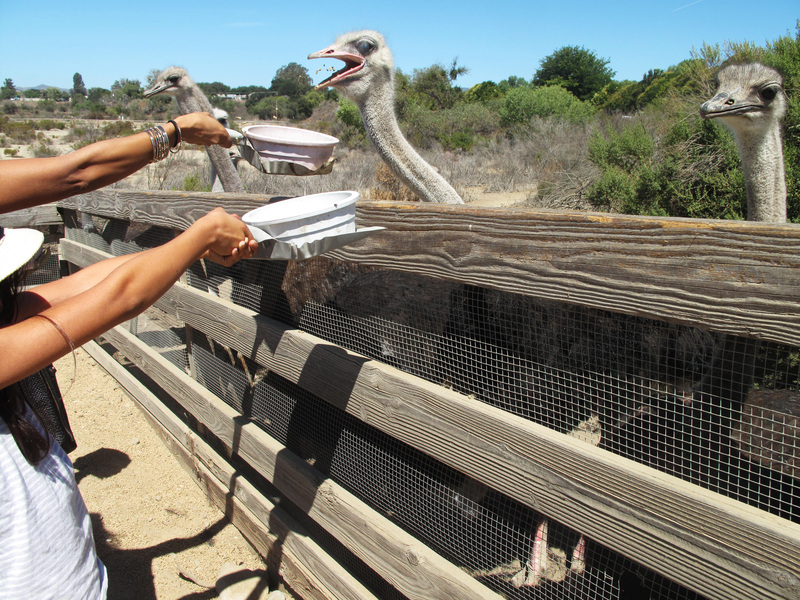 Ostrich is a strong bird and it can hurt you if you are not careful. There are lots of self-operated rickshaws for nine to 12 people. We rented two of them because the large ones were rented out. 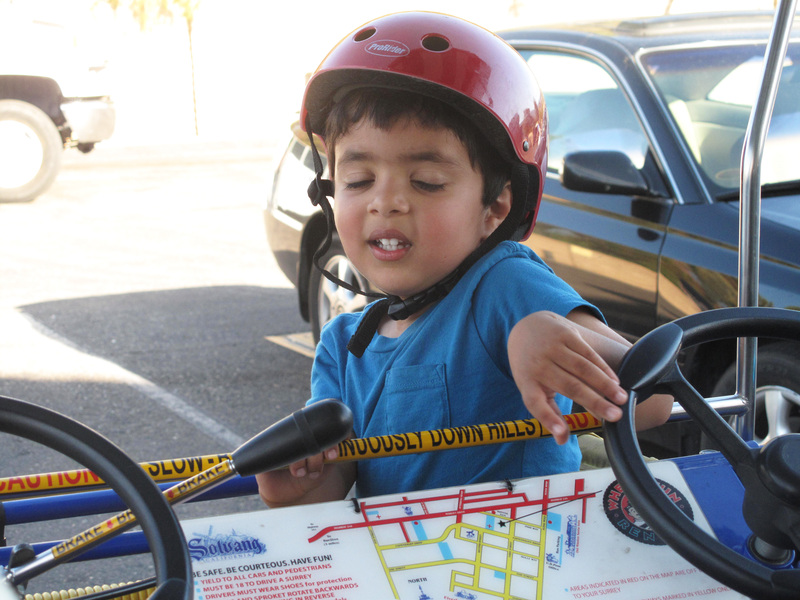 We rode on all of the Solvang streets given on the map. Because we were driving two rickshaws, it turned into a road rage. 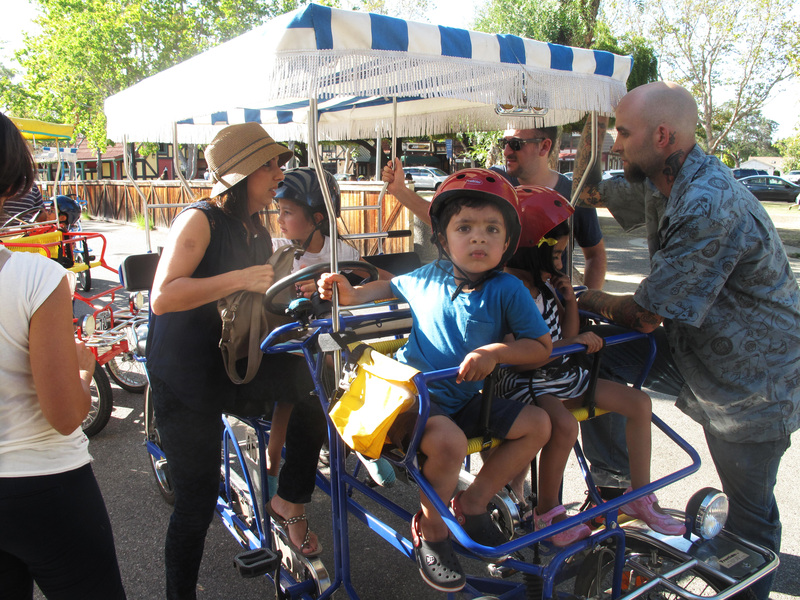 We peddled so hard carrying seven passengers on each rickshaw the adults were perspiring profusely. Because we burned lots of calories, we didn’t count calories that evening when we gobbled pizzas and Danish pastries. It’s a small town and most of downtown can be traveled on foot. 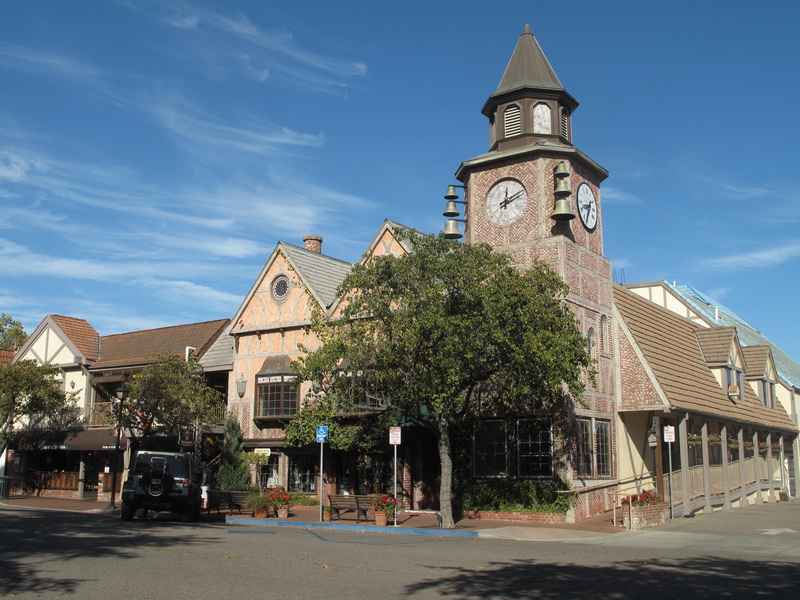 The striking feature of Solvang downtown is its architecture, modeled after the typical Danish design of tall and steep roofs to prevent snow from collecting. 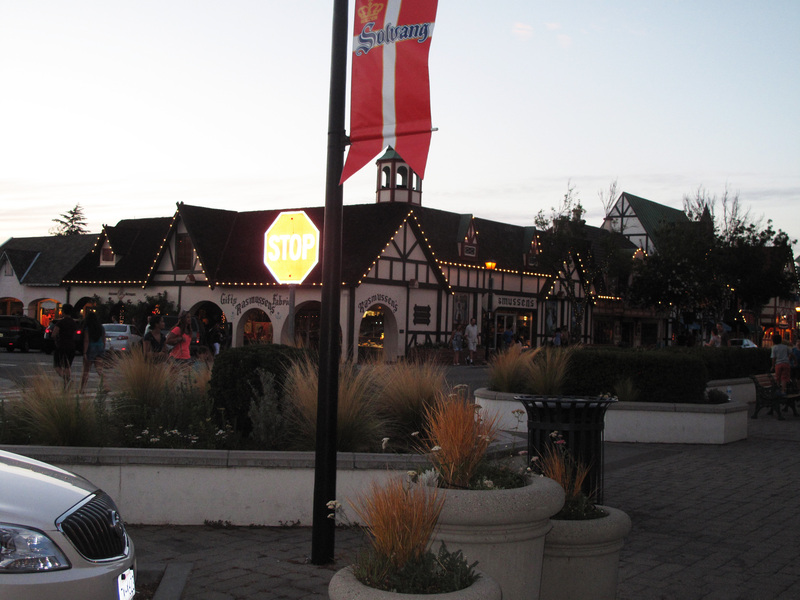 Although Solvang doesn’t get snow in the winter, the buildings are made that way to retain the Danish architectural style. The town even has several Danish landmarks, including the ubiquitous windmills, obviously not working, just for effect. 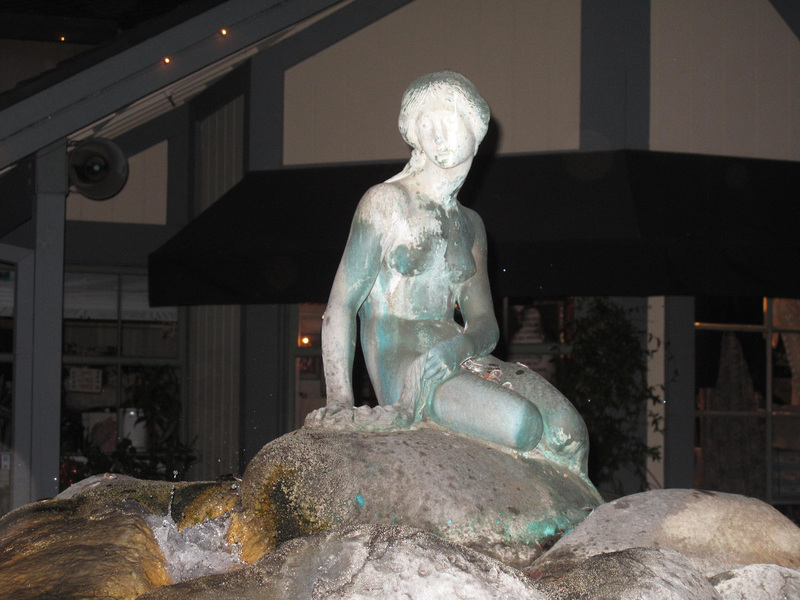 I was struck by a small statue of “The Little Mermaid” in a fountain in front of a restaurant. 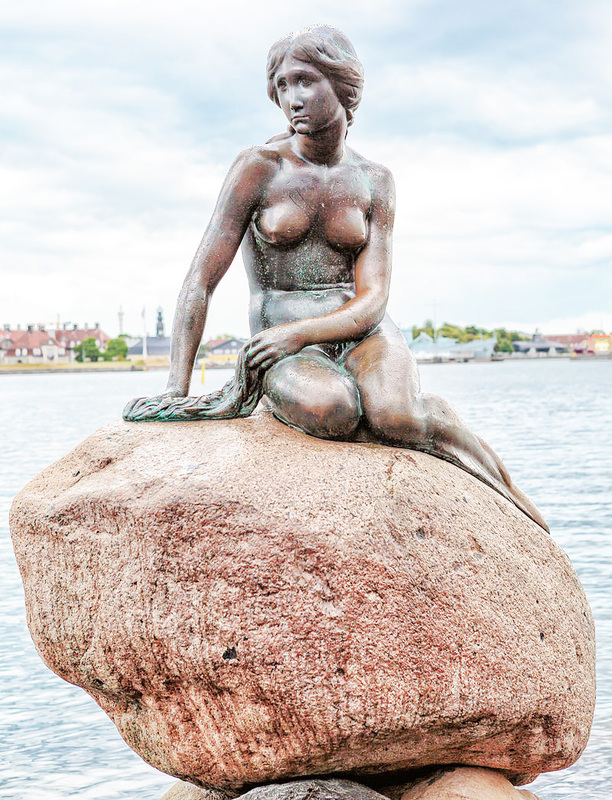 This is a replica of the same famous mermaid that now stands on a rock in Langelini promenade in Copenhagen, Denmark. Commissioned in 1909 by Carl Jacobsen, son of the founder of Carlsberg, the statue is a landmark of Denmark and it has been an attraction of many tourists, also the target of vandals and political activists. For those who haven’t visited the real Denmark, this is the closet Denmark one can get without the Atlantic flight. Here are some photos.